Dimensions: H55.5 x W23 x D23 cm approx. To secure shade, pass body through from top, base first. Metal ring in top of shade, magnetically fits under arms of monkey. 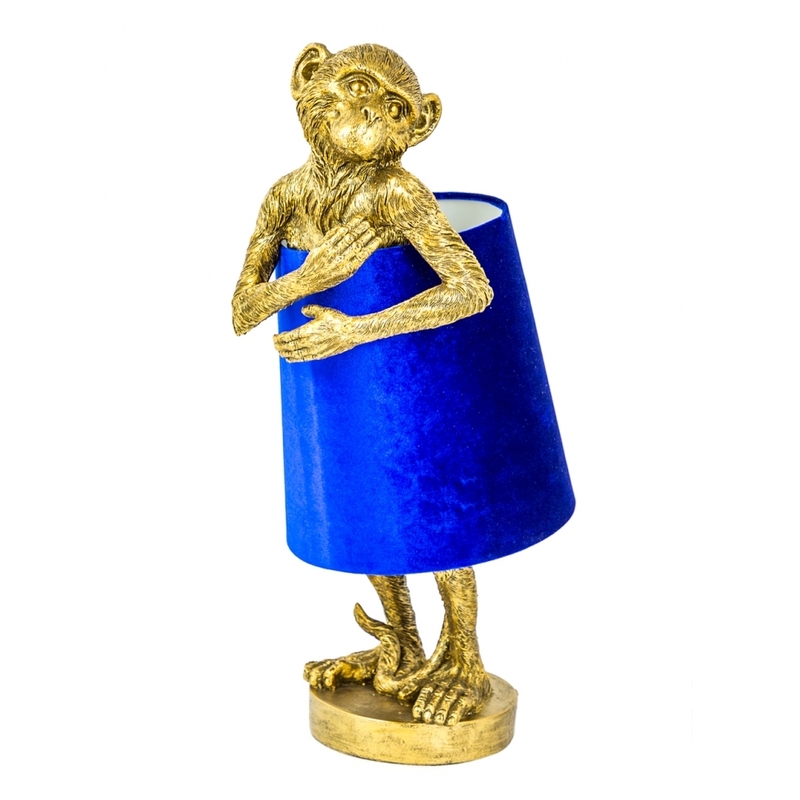 Cheeky and a bit shy, this Antique Gold Bashful Monkey Table Lamp is sure to attract attention, even though he is trying to hide behind his Blue Velvet Shade. Featuring an intricately detailed monkey on a stand, this unusual antiqued gold decorative lamp would be a stylish and luxurious addition to many homes and interiors.